The Tohoku Rakuten Golden Eagles want Senichi Hoshino to become the team’s new manager for next season, baseball sources said Tuesday. Hoshino is the only candidate for the job and Rakuten chairman Hiroshi Mikitani has already met with Hanshin Tigers owner Shinya Sakai to seek permission to talk with the 63-year-old, according to the sources. Hoshino, who has led both the Tigers and the Chunichi Dragons to the Central League titles and was Japan’s national team manager at the Beijing Olympics, currently serves as senior director at Hanshin. Hoshino came in for stinging criticism as Japan, a pre-tournament favorite, finished outside the medals in Beijing. Hoshino turned down the Japan skipper’s job for the 2009 World Baseball Classic but is eager to return to club management. Last month, the Eagles fired Marty Brown after just one season. In the first year of a two-year deal with the volatile skipper, Rakuten dropped to the cellar of the Pacific League after finishing second in 2009 under popular skipper Katsuya Nomura, who resigned. 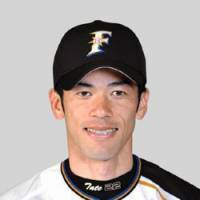 SAPPORO (Kyodo) Hokkaido Nippon Ham Fighters veteran reliever Yoshinori Tateyama said Tuesday he will try to sign with a major league club as a free agent this off-season. “Looking at former high school teammate (the Baltimore Orioles’ Koji) Uehara and (the Atlanta Braves’ Kenshin) Kawakami pitching in the majors, I’ve wanted to pursue a career over there,” Tateyama told a news conference. The 34-year-old sidearm right-hander was 1-2 with four saves and a 1.80 ERA in a career-high-tying 58 appearances this season for the fourth-place Fighters. 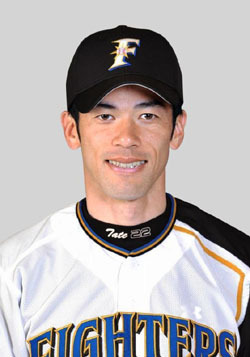 Tateyama, the 2004 Pacific League best middle reliever award winner, has a 35-43 career record with 27 saves and a 3.43 ERA in 438 games over 12 seasons, all with Nippon Ham.